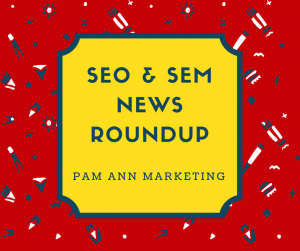 Google quietly rolled out a couple of new changes to organic search results this week, and rest assured nothing goes unnoticed by the SEO community. An industry study was published illustrating the potential benefits of using Accelerated Mobile Pages. Google wants to be your new source for finding hotel deals. Organic traffic to one of the world’s most authoritative publications has been slashed nearly in half, and we’ll explain what this means for similar websites. Lastly, but certainly not least, Google is getting into the spirit of Pride month with an update to Maps. A study was recently published by Chartbeat that concludes AMP (Accelerated Mobile Pages) content drives more traffic and user engagement than Facebook’s competing Instant Articles format. Despite the fact AMP content takes over a full second longer to load than Instant Articles, AMP content is receiving three times more traffic. In addition, users coming from Google Search are likely to spend over 10 seconds longer viewing a piece of AMP content than a standard mobile web page. You can take what you will from these conclusions, but the study presents a compelling case that users prefer to engage with fast-loading mobile-optimized content. For more information about the AMP format and how you can use the technology on your site, please see our guide to Accelerated Mobile Pages. Want to find the ideal hotel at the best price? No, we’re not talking about Trivago. Google is getting in on the hotel deals game with a subtle addition to hotel Knowledge Panels. Now when you search for the name of a specific hotel, Google may display an alert saying you can save money if you choose to stay on slightly different dates. This was spotted by Jennifer Slegg at The SEM Post, who has also provided several screenshots on her blog. 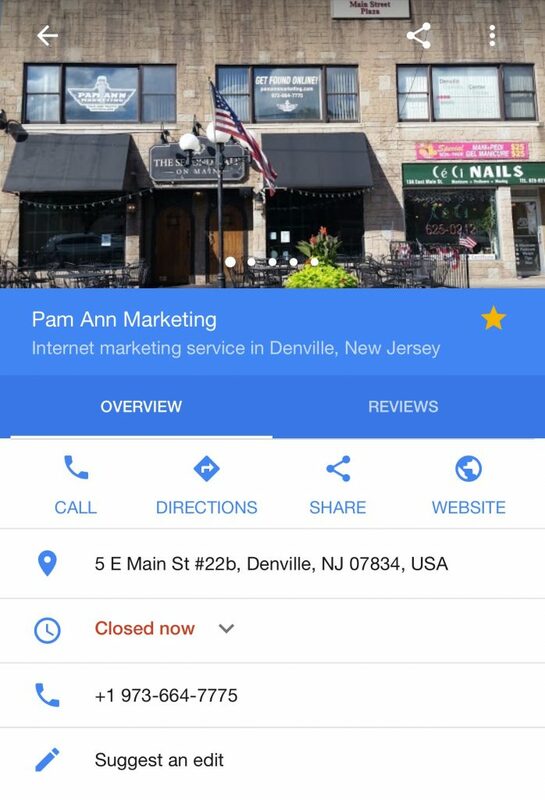 Google’s card-style panels for local businesses have been revamped with easier access to local reviews. The new design has been going through a testing period over the past month, and Google recently confirmed it has been fully rolled out in mobile search results. When you search for a local business, you will now be able to quickly toggle back and forth between the business overview and business reviews. You can see an example below. 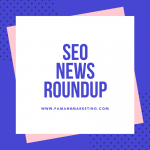 Catch up on anything else you may have missed in local search as of late with our latest recap of updates to Google local search. WordPress 4.8, the latest iteration of the web’s leading content management system, is now available to download or update from your WordPress dashboard. A majority of the new features are designed to make it easier to get things done without the use of complicated code. Now you can easily add images, videos, audio, and rich text within widgets without the use of manual coding. Any image, video, or audio file uploaded to your media library can be easily turned into a widget and inserted into your site wherever your template allows. In addition, any text added to a widget can be formatted just as you would format the content in the body of a post. No more HTML required! Amongst these updates, WordPress has decided to drop support for aging media formats. WMV, WMA, and any other formats requiring use of the Silverlight plugin can no longer be embedded into WordPress content. However, they can still be displayed as downloadable links. Other new features include a section in the admin dashboard highlighting local WordPress events, and a feature called Link Boundaries which makes it easier to edit links. Wall Street Journal used to participate in a program called First Click Free. The program allowed visitors from Google to bypass WSJ’s paywall for at least one click. Visiting other pages on the site would require a subscription, but the first click from Google search would be free. Well, WSJ pulled out of that program in February, and since then its organic traffic has tanked by 44%. Suzi Watford, WSJ’s chief marketing officer, claims the publication is being “discriminated against” for being a paid site. However, the truth is, when pages are behind a paywall Google simply cannot index them the same way they can index free content. To WSJ’s benefit, subscriptions to the publication have quadrupled since pulling out of the First Click Free program. Whether or not this offsets the amount of traffic and ad revenue lost from Google is unknown. Let this be a cautionary tale to other publications participating in Google’s First Click Free program. Should you decide to pull out, a loss of Google traffic is sure to follow. You’ll have to weigh the benefits of free Google traffic against other goals you may be trying to achieve, such as conversions or subscriptions. June is Pride month around the world, and Google is literally showing its colors with an update to Google Maps. In an effort to help people find local parades and events, parade routes and event info have been added to Google Maps on Android and iOS in 35 cities worldwide. If you’re in one of the 35 covered cities, you’ll see a rainbow parade route on the map itself. Tapping on it will open an event card with more information. Other Pride events will be marked on the map with a special Pride icon. To help people navigate around events, Google Maps will dynamically reroute drivers around the festivities. Further evidence has been revealed indicating the faster a page loads, the more time visitors are likely to spend engaging with it. Updates have been rolled out to Google searches for hotels and local businesses. A new version of WordPress is available that allows webmasters to easily embed media into a site without the use of code. Traffic to the Wall Street Journal has been plummeting since it pulled out of First Click Free. In the spirit of Pride month, Google is helping people get in on the festivities with an update to Maps. This week, a longtime Google employee confirmed his resignation from the company, Google announced plans to revive a failing product, and some tests involving AdWords and YouTube have been discovered which could end up being permanent fixtures of search results. More details about each of these headlines are included in this week’s SEO news roundup. Anyone who has either been working in the industry or following Google news for the past several years has likely heard the name Matt Cutts. He was once the head of Google’s webspam team, monitoring the quality of search results and ensuring sites couldn’t spam their way to the top using black hat techniques. In fact, Cutts was one of Google’s first and most tenured employees. A couple of years ago Cutts decided to take a leave of absence from Google to work a short 3-month stint with the United States Digital Service (USDS). That 3 months turned into almost 3 years until he finally confirmed this week he’s leaving the company for good. According to Cutts, he feels so strongly about the work being done by the USDS that he wants to continue working for them on a permanent basis. Cutts will probably be best remembered for his Q&A-style YouTube videos, which helped provide guidance to countless SEOs and webmasters looking for help with improving their rankings. Just do a quick YouTube search for “Matt Cutts” and you’ll see what we mean. Ever since Matt Cutts initially took his leave of absence, Webmaster Trends Analyst Gary Illyes has stepped in to become the communication bridge between Google and site owners. This week he published a detailed explainer on the meaning of “crawl budget”. Crawl budget is a term that’s getting thrown around a lot these days by people who may or may not have a clear understanding of what it means. Illyes explains that crawl budget is a combination of crawl rate (how fast Google can crawl a site), and crawl demand (how frequently Google believes it should crawl URLs based on their popularity). Every site has a unique crawl budget based on the site’s speed and level of user engagement with its content. The bottom line is crawl budget is not a ranking factor, but it’s still important when it comes to keeping content fresh in Google’s index. For more information, you can refer to his article here. Google is still refusing to give up on its social network, Google+, which by all accounts has failed to live up to expectations. In an announcement this week, the company says it is saying goodbye to the “classic” Google+ and introducing a new version. The “new” Google+ has a renewed focus on creating events, a fresh design which places more of an emphasis on content, and new ways to engage with photos on desktop. Read more here. Google has been spotted running a test of local shopping ads which indicate whether or not the item you’re searching for is in stock at a local store. This appears to be a limited test at the moment with no word on whether it will see a wider rollout. Local search expert Mike Blumenthal has the scoop along with some screenshots over on his blog. Another Google test has been spotted this week where auto-playing YouTube videos are being featured at the top of certain image searches. Alex Chitu, who made the discovery, notes this feature shows up primarily for fashion-related searches. More details and screenshots are available on his blog. Google says goodbye to Matt Cutts, but site owners are still in good hands with helpful Webmaster Trends Analysts like Gary Illyes. Google refuses to say goodbye to Google+ as it revamps the product, while also running some new tests in search results this week. Another busy week in search, and don’t worry, we’re not going anywhere. You can always rely on us to keep you informed with the latest search headlines of the week. Everyone has heard about the power of Facebook ads, but not everyone knows how to harness that power and use them to grow their business. Facebook ads can do more than just generate more likes on your content; they can drive traffic to your website, generate on-page conversions, promote offers, and so on. In this post we will go over the different types of Facebook ads available and how they can be used to your advantage. Promoting offers is a perfect type of ad for either brick-and-mortar stores or e-commerce stores that have the ability to offer discounts. To create one of these ads your page needs to have at least 50 likes. Anyone who clicks the call to action button to get your offer will receive an email containing the terms and conditions as well as full details of what they’re getting with the offer. Here are the recommended specifications for this ad type. These are a few of the major types of Facebook ads that we have personally seen the most success with for our clients, which is why we are passing on these recommendations to you. For more information on what we offer in terms of social media advertising, please visit this page. 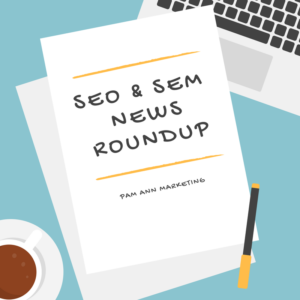 This week Google pushed forward with its accelerated mobile pages project, page rank has been officially shut down, and there’s been some changes to AdWords that will affect local marketers. In addition, Facebook has made some changes to its News Feed algorithm which could have an impact on how your content is displayed going forward. 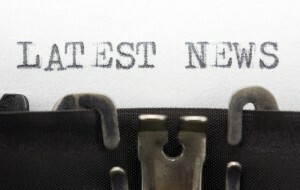 Full details about each of these headlines in this weeks recap of inbound marketing news. 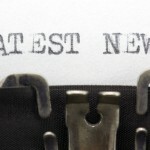 Google’s accelerated mobile pages project is in the news; Google news that is. 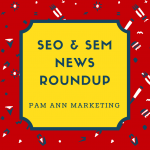 Within the Google news section of your mobile browser, Google will be highlighting AMP pages with the same carrousel you may be familiar with seeing lately in organic search. Up to 14 pieces of content will be displayed and when you click on them they will open up into their own viewer. Within this viewer you can swipe left or right to view other pieces of AMP content related to what you had originally search for. AMP content will be highlighted with a lightning bolt icon in Google search and Google news. The company says that tests have shown that AMP content loads an average of four times faster and uses 10 times less data than non-AMP pages. Google has already started rolling out this update in US English search results, so it will soon be available to everyone. PageRank was once used to assess the overall quality and authority of a website using a scale of 1 to 10. It was also used to weighh the value of inbound links, meaning a link with a PR 5 is that much better than a link with a PR 1. 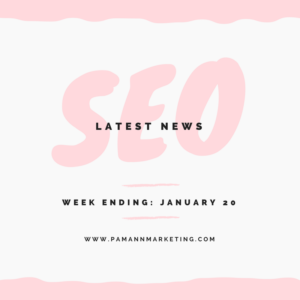 The benefit of this information no longer being publicly available is the fact that it may alleviate some of the spam tactics that were rampant when PageRank was at its peak. This included black hat tactics such as selling links, spamming links, and so on. So if you have any toolbars on your browser that you were relying on for PageRank data, it’s pretty much safe to get rid of them at this point since the data will no longer be updated going forward. 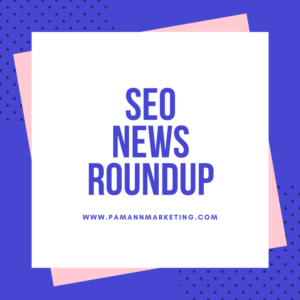 Always updating and tweaking, Google made some changes to AdWords this past week that will have an impact on local search results and Google Maps. It also has the potential to impact any retailer or service provider with a physical location. One of the first updates is the fact that Google is now showing ads in the local finder results. Local finder results are appearing after clicking ‘more places’ from the local three pack in the main set of organic search results. Ads shown in the local finder rely on AdWords location extensions. However, having a pin on the map results is not necessary. This is a benefit to businesses and advertisers because those who did not previously show up in the local pack now have an opportunity to do so through advertising. 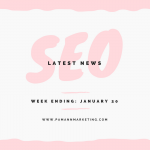 Another change that was seen this week is the fact that Google Maps is no longer considered to be a search partner, which is going to change the way ads are displayed in Google Maps going forward. With this change, Google will now only show ads that include location extensions in maps. Plain text ads will no longer be featured in ads in Google Maps. If you want to have a chance of showing up in advertisements in Google Maps, make sure you have the location extension set up. Facebook has added two new ranking signals to its algorithm which are based on data gained from users. 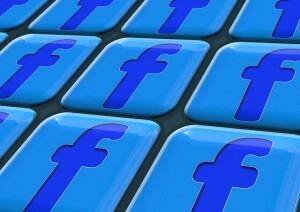 Now, Facebook will factor in viewing time when ranking content in an individual’s News Feed. 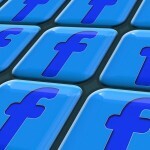 That means content which Facebook believes you’ll spend the most time viewing will be prioritized first. The company will get this data from how long you have spent viewing similar content types in the past. Another major change made was the fact that Facebook will no longer show too many posts from the same source together in a row. According to its users, people want to see updates from a wider variety of sources. That means they don’t want to see posts from the same pages all the time. So going forward that means Facebook will make a deliberate attempt to not place too many posts from the same source together in a person’s News Feed. It sounds like all pages will be impacted equally by this update, so it’s difficult to say how it will impact your individual page. Let’s just say your mileage may vary. LinkedIn users tend to be more business-oriented and quite a bit more affluent than the average social media user. For some companies, particularly B2B companies (businesses that sell to other businesses), LinkedIn is a downright goldmine. Since LinkedIn is quite different from other social networks, it can be more difficult to figure out how to use it for marketing purposes. Since my Facebook Marketing Plan Template was such a big hit (thousands of people have downloaded it), I decided to put one together for LinkedIn. 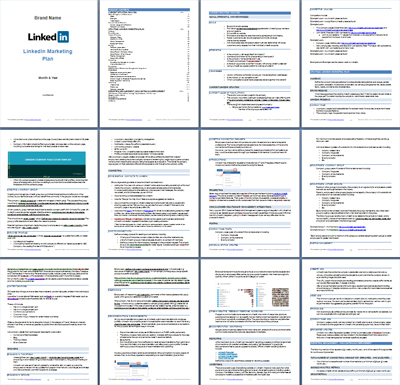 This LinkedIn Marketing Plan template has 12 pages of information on how to put together a strategic approach to marketing on this network. It is laid out in outline format, allowing you to simply fill in details specific to your company. There are also fill-in-the-blank type statements with multiple choices reflecting different possible approaches. The template starts out with a “Current Situation Analysis”, allowing you to benchmark your starting point so that the success of your efforts can be measured along the way. Then there’s the “meat” of the template – the strategic plan portion. This part covers everything from profile optimization to building connections t0 group participation and even LinkedIn advertising. Lastly, there’s a section on “Reporting, Measurement, and Continuous Improvement” that will help you define which KPIs (key performance indicators) will be tracked and set goals for performance gains on each. 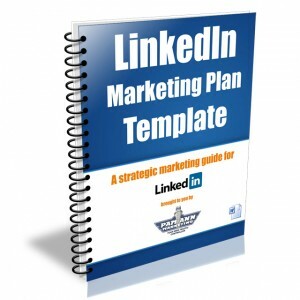 This LinkedIn Marketing Plan template is also chock full of tips on proper use of LinkedIn, best practices, and information on the various premium and advertising services that LinkedIn offers. If you’re reading this on PamAnnMarketing.com, you’ll see a form below for downloading the template in Microsoft Word format. If you’re currently on a site where this article is syndicated, such as Business2Community, click here to access the original copy of this article which has the download form on it. If you like this template, you may want to check out my Facebook Marketing Plan template, and sign up for my e-newsletter to receive notices of other useful downloads, webinars, etc. as they are released. Facebook currently has three types of groups: Secret, Closed, and Open. First, a quick overview of each – followed by my case for why the secret ones are the most powerful. 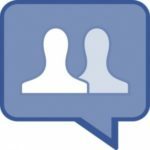 Open Facebook groups are a great way for people to gather together around a shared cause or vision. The downside of these groups is that they tend to become rather large and the noise (and spam) becomes overwhelming. Regrettably, it’s easy to end up leaving more groups than you join for this reason. Closed groups require invitations to join, but as Facebook says: “Anyone can see the group and who’s in it.” So you may want to rethink joining a group called “I Attended Rocky Horror Picture Show Over 100 Times” if your goal on Facebook is to present a professional image. Secret groups are what they appear to be: they’re secret. Only current group members can see the group and its posts, and there is a setting to prevent current members from adding/inviting new members without admin approval. Beyond the technical privacy benefits, secret Facebook groups have significant personal and professional advantages over open and closed groups. In 2011, I met a group of businesswomen who were all conversing consistently using a certain hashtag on Twitter. We started to get to know each other quite well, and decided to take some of our conversations out of the public eye via our very own secret Facebook group. What happened after that is indescribable. This group of women have become WAY more than just “Twitter friends.” We have personally and professionally gotten to know each other on a deeper level than ever expected. 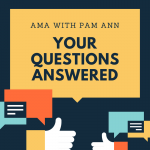 We share about personal joys and issues, as well as professional successes and challenges. These women feel like family to me. In addition to communicating daily in our secret Facebook group, we group video chat once a month, and most of us have now met in person during various travels to each other’s states. Almost all of us went on a group trip to Arizona last fall to spend a fantastic long weekend together. We are friends, mentors, and professional colleagues that consistently refer business to one another due to the level of trust that has been built up between us. So how exactly did the secret Facebook group contribute to the building of the amazing relationships described above? Secret groups provide an opportunity to develop the seeds of friendship that often can only cultivated within the privacy of “real life” gatherings. Social networking is great for meeting new people, but really getting to know someone requires an element of privacy. Secret Facebook groups provide that privacy. As people get to know one another, they naturally develop empathy. Secret Facebook groups often evolve to become a support group, even if they started out purely professional in nature. Members offer up their experience and advice, a shoulder to lean on, or some humor to help other members through their day. Those of us in the technology sector often forget that as humans who are inherently social, we need each other and even long for deeper connections. The trust that develops over time can sprout into collaboration and/or referred business. The format of a Facebook group allows members to collectively brainstorm about projects via the posting of photos, documents, and organized conversations. In doing so, members have the opportunity to demonstrate their expertise to one another, which when combined with the trust built in these groups, leads to referred business. So there you have it – those are the “secret” powers of secret Facebook groups as I have experienced them. I know of many other people who use these groups in this way as well. If you’re one of them, I’d love for you to share your experience in the comments below. Download my Facebook Marketing Plan Template! If you liked this article, you’ll LOVE my Facebook Marketing Plan template. In our recent “Social Media Mashups” (#SMMashups) On-Air Hangout, Lena West and I discussed how brands can “mash up” or combine different social media platforms for a brand new experience. We talked about neat things like Overblog and VisibleTweets, as well as combining Hangouts and tweetchats, Instagram and Facebook Contests, “Pingating” on Facebook, and our own mashup concept: Pine. 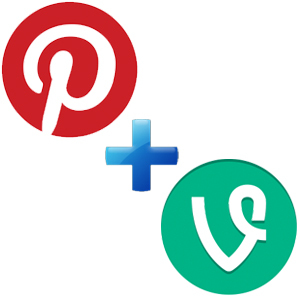 “Pine” refers to a mashup of Pinterest and Vine. It started with Lena’s idea of how a company like Ikea, who needs to show their customers how to assemble things, could use Pinterest boards to show each step of an assembly and embed the boards on their website. I then found out that Vine videos are now able to be embedded in a website, and the light bulb went off. How great would it be to be able to show not only step-by-step pictures of an assembly, but brief stop motion videos of each step right alongside the pictures? So the “Pine” mashup was born. Embedded Pinterest boards + Embedded Vine videos = a brand new, unprecedented form of customer service. Essentially, any brand that needs to show someone how to do something could use this method of combining Pinterest boards and Vine videos to give their customers an enhanced experience with their product or service. Brands that provide an amazing customer service experience (think Zappos) retain and gain more customers than their competition, by far. This multimedia method of customer service is not only powerful, but INEXPENSIVE to produce. Think about how much video production and website programming would have gone into creating something like this in the past. The cost of creating this type of experience would have been out of reach to most brands. But now anyone with an iPhone or iPad (and hopefully soon Android) can provide this incredible experience for their customers. How Will You Use Pine? What applications can you think of for this new method of social customer service? Tell us your ideas in the comments below. Check out my Facebook Marketing Plan Template and LinkedIn Marketing Plan Template.